If you suspect you have a hidden water leak, or have leaky faucets or water fixtures, try the Drip Calculator to find out how much water your home may be leaking. Home water conservation is easy once you understand how and where you can use less. This quick and easy Water Calculator shows you which water uses in your home are efficient and which are not and offers simple conservation tips that save water and energy. Below are some useful tips for water conservation and money savings. 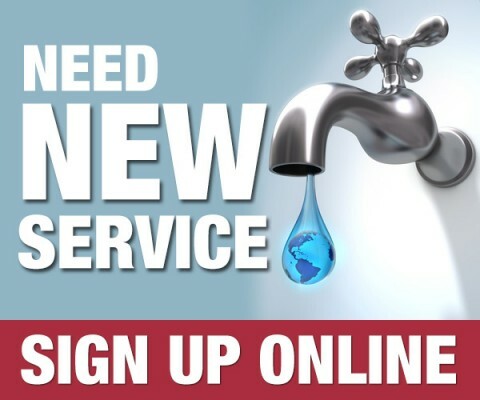 There may be occasions when you need to turn your water off, such as when repairing a drippy faucet, replacing the water heater, or installing an irrigation system. Most homes are equipped with interior and exterior shut-off valves for this purpose. You can shut off the water to the entire house by using the exterior shut-off valve. The valve is located in a valve box outside the house. The valve box can be rectangular, plastic or concrete, black or green, and is set in the ground near the front faucet. City of Duncanville Ordinances do NOT allow persons (other than city employees) to operate the valves inside the water meter box. If none of the preceding options work to shut off your water, please contact our office at 972-780-5010. A Field Representative will be dispatched to assist you. A silent leak in your toilet can waste several thousand gallons of high quality water each month and place unnecessary demand on the city sewer system or your septic tank. Usually you cannot hear the leak because it runs slowly out of the tank. How can you discover if your toilets leak? Simple, Follow these easy steps and you’ll know. Lift the lid from your toilet seat. Place three or four drops of ordinary food coloring into the toilet tank (note: do not use dye, it could stain). Do not flush or otherwise disturb the toilet for one or two hours (longer in some cases). At the end of the waiting period, observe the toilet bowl. If the food color you placed into your tank shows up in the bowl, you have a leak. For a printable version of this test click here. Most frequently, a defective flush valve causes leaks in toilets. A flush valve is a flap or ball plunger device that is supposed to act as a stopper in the bottom of your toilet tank. After several years and many flushings, the stopper can be knocked out of shape or simply worn out. To fix your toilet and save water, see your hardware dealer or plumber and obtain an inexpensive and easy to install replacement valve or complete replacement kit. 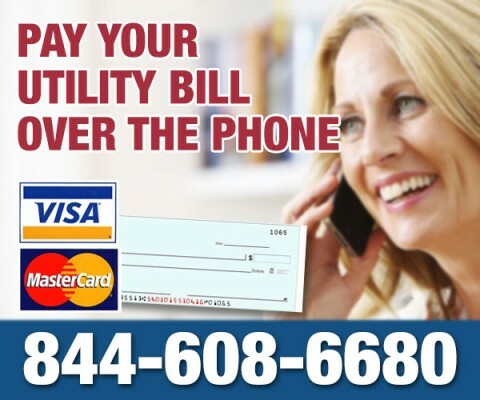 For Questions or concerns call the Duncanville Utility Billing Department at (972) 780-5010. A steady drip from a leaking faucet can waste as much as twenty gallons per day. A more serious type of leak can occur in toilet tanks, wasting as much as two hundred gallons of water a day. Since leaking water runs from the tank into the bowl, you can’t see it or hear it. Your water meter is the best detective in the home. It can tell whether you have a leak, how big the leak is, and how much water various appliances use. Your meter records use in gallons, like your car records miles on the odometer. If you have one of the newer meters, you can easily check for a leak yourself. There is a small pinwheel, triangle, or circle on the meter register. This is a low flow indicator. Note: If you notice water spewing from the meter or the meter connections (the nuts and bolts that connect the meter to the cut-of valve or your water line) call the City for repair at 972-780-5010. If you notice a leak on the line that goes to your house, call a plumber. If you are not sure, call us. Check to make sure that no water that you know of is running. Then watch the low flow indicator. If it is moving then you know that there is a leak. You may have to check it on several occasions. Be aware that toilets, faucets, and lawn sprinklers do not necessarily leak constantly. A toilet leak may not occur until the water drains to a certain height in the tank. It then runs to fill it up again and shuts off until it leaks down to that point again. If you suspect you have a leaky toilet, add some food coloring to the tank of the toilet and let it sit for 1/2 hour. Then check the bowl to see if the water has changed color. If it has you know you have a leak. If you have a faucet with an old gasket, it can take a lot of pressure to shut if off fully. With different people using the faucet , it may not always be shut off completely. Sprinkler heads sometimes remain partially open leaking unseen water on to the lawn. When they are again turned on fully, the valve may then close properly. Did you know that each lawn sprinkler head uses between 3 and 5 gallons per minute? That can add up very quickly on your bill. Suggestion: Read your water meter before you turn on your system and then read it when it has shut off. Subtract the two numbers to see how many gallons of water the sprinkler heads have used. Remember: These are just suggested places to look for water loss first, and is not intended to be all-inclusive. If you will check these things first, it may save both you and the City time and money. Even though you may not visibly see the leak or your meter moving, that does not mean that you do not have a leak. Any leak or drip should be fixed immediately. If you still find that you need assistance, please contact the Utility Accounting Department at 972-780-5010. The water meter is an accurate and dependable water-measuring device used to register all the water used in your home or building. 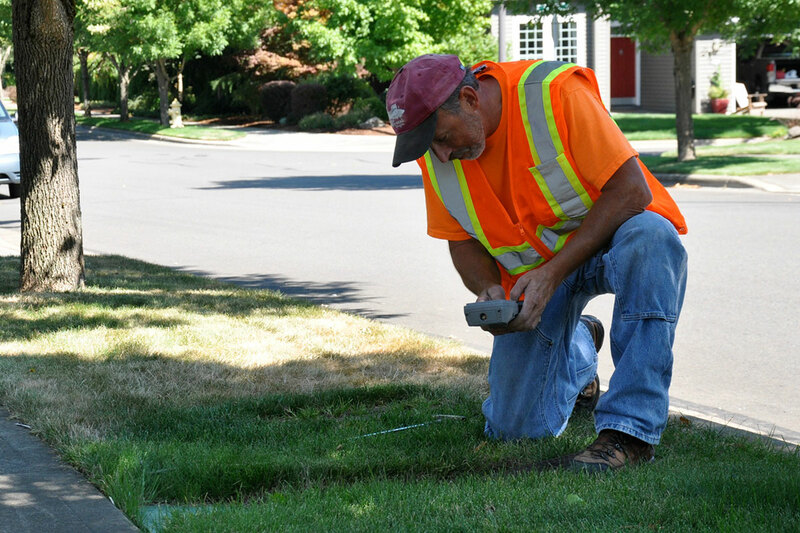 The water meter is usually located in a small box in the ground near the street or the edge of the property. Duncanville meter readers read the meter each month. This is why it is important to maintain the area around the meter box, to insure accurate readings each month. Like reading the odometer on a car, your meter is read by recording the numbers from the left to the right. Since the water is billed in thousands of gallons, the meter reader will only record the first three or four digits on the meter. For example: The meter dial above and to the right indicates a reading of “4270120”, this indicates that 4,270,120 gallons of water has registered through this particular meter since it was installed. The meter reader will only read “4270”, because we are only concerned with thousands of gallons for billing purposes. If you are comparing two months of water use, subtract last month’s water use from this month’s. In the examples above, you get 8,230 gallons of water used. While your meter tracks water usage down to the tens, you are only billed in the thousands. So when you check your bill, don’t expect to see the digits in the black boxes. Now you can compare your water use from month to month and compare your monthly water use with your bills from last year. If your meter has a triangle, blue star or a silver pinwheel this is known in the industry as a leak detector. If there is water running, or if there is a leak anywhere outside or inside the house or building, the leak detector will rotate or shake. If you have any questions concerning your meter, please contact the Duncanville utility billing department at (972) 780-5010.